Perithemis tenera (Eastern Amberwing) ♂. Size: approx. 20-30 mm. Photo: 08/04/11, 11 am. A male Eastern amberwing (Perithemis tenera). This skimmer is a little smaller than one inch. In the Eastern states P. tenera is the only species of this genus. Males (females) have red (brown) wing spots. Males defend their 5' wide territory fiercely. 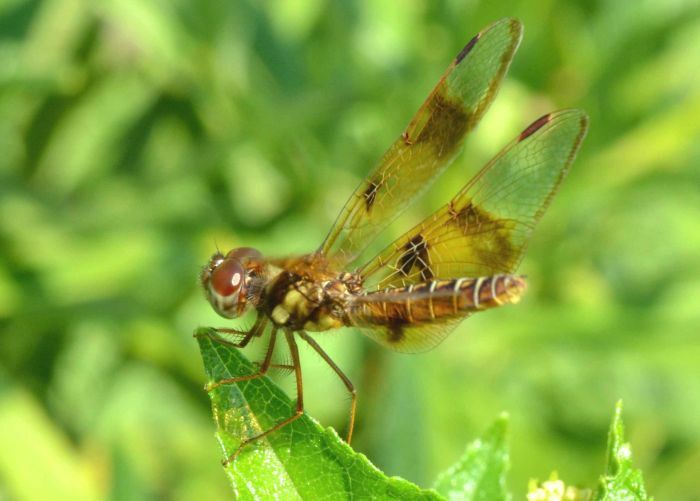 Perithemis tenera (Eastern Amberwing) ♀. ... and here is a female Eastern amberwing (Perithemis tenera). 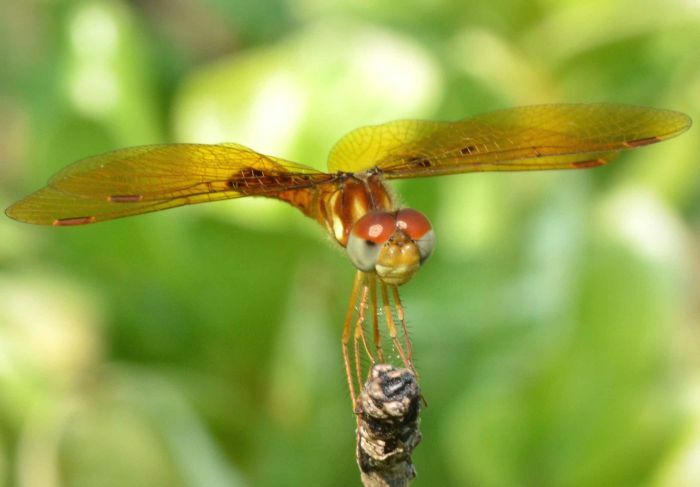 Notice that the wings of females are more transparent while males have beautiful amber-colored wings.